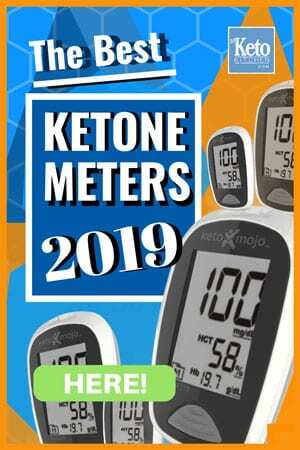 Ketogenic breakfast ideas are one of the most asked questions on Keto forums all over the internet. We’ve come up with our take on the classic breakfast muffin; Low Carb Sausage and Egg Mushrooms. Portabella Mushrooms have been used as a bun replacement for such a long time and they are a perfect addition to your Ketogenic Diet. You can roast your mushrooms up to 1 week ahead and store in the fridge, when its breakfast time you can throw them in the pan to warm up with your eggs. 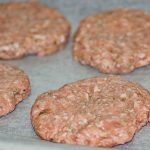 Our Low Carb Sausage Patty Recipe can be easily doubled or tripled and the patties frozen after they have been shaped. We individually wrap ours in cling film to make defrosting easier, just put one in the fridge the night before and it should be nice and softened for breakfast. They also go well with our LCHF Ham and Cheese Keto Shaker Omelette. Place all the sausage pattie ingredients into a bowl and mix well. We find using your hands to be the quickest and easiest method. Having food safe disposable gloves on hand, makes mixing cleaner and safer. 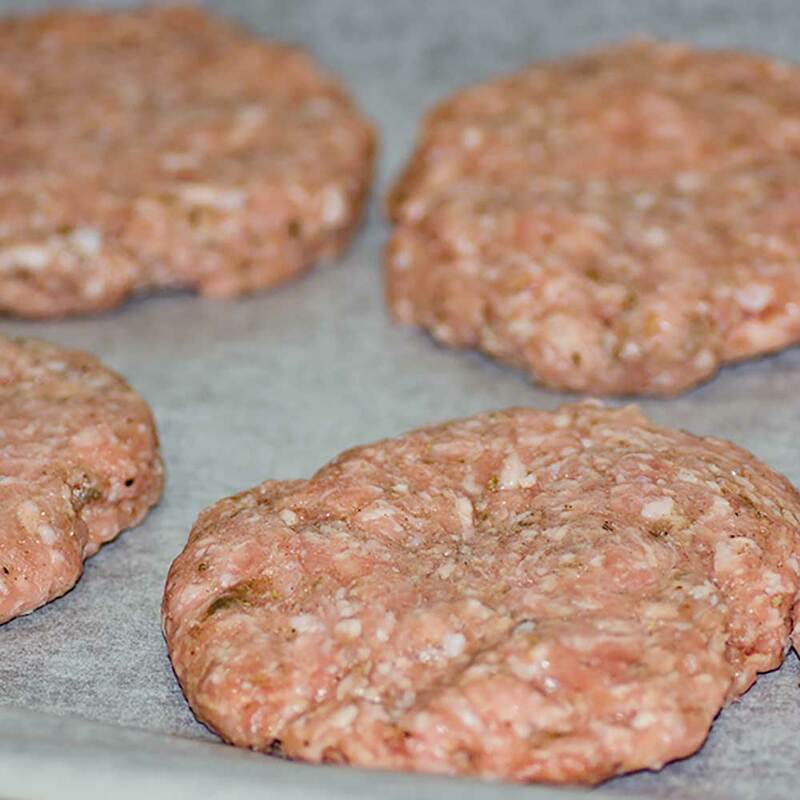 Split the mix into 6 even balls and press into 1/3in/1cm thick, round patties. Set aside. Peel the skin off the top of the mushrooms and remove the stems. Place the mushrooms on a baking dish, lined with parchment paper and sprinkle with salt, pepper and thyme leaves. Put a small piece of butter into the inside of each mushroom. Bake the mushrooms for 10 minutes. While the mushrooms are baking, cook the sausage patties in a frying pan over medium heat. Fry them for 3 minutes on each side. Fry your eggs in a second frying pan while the sausage patties are cooking. We recommend using egg rings to keep your eggs in the perfect shape. Tip the excess liquid off your cooked mushrooms. Layer them with a slice of cheese, a sausage pattie, a fried egg, and top with another mushroom. Enjoy! Ketogenic breakfast ideas are one of the most asked questions on Keto forums all over the internet. 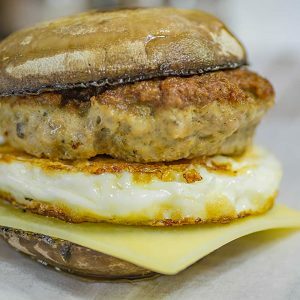 We've come up with our take on the classic breakfast muffin; Low Carb Sausage and Egg Mushrooms. 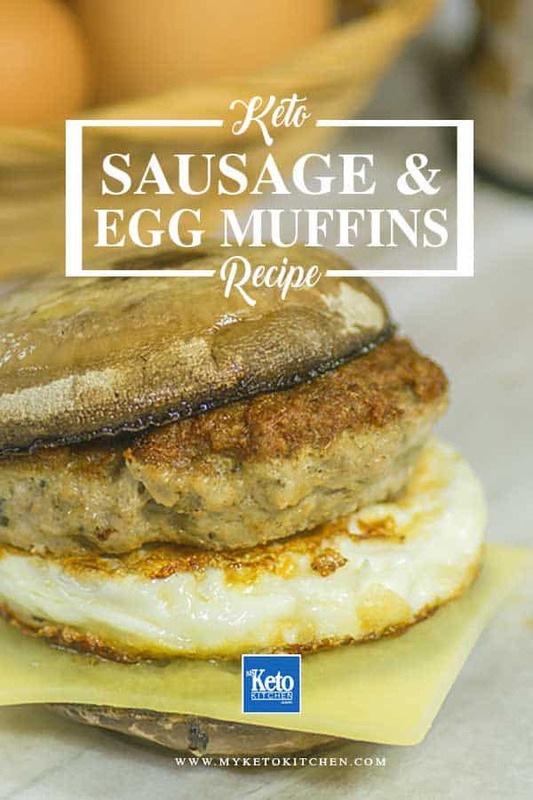 Keto Sausage & Egg Muffins – this easy breakfast dish is our twist on a sausage and egg mcmuffin! If you want to make a larger batch of Low Carb Sausage and Egg Mushrooms, simply adjust the serving amounts in our easy to use recipe card above.